IR35 affects all contractors and freelancers who do not meet HMRC’s definition of ‘self-employment’. The legislation was designed to stop contractors working as ‘disguised employees’, by taxing them at a rate similar to employment. Factors used to determine your IR35 status include control, financial risk, substitution, provision of equipment, right of dismissal and employee benefits. Essentially if you have the same responsibilities, control and benefits as a permanent employee then you will more than likely be classed as inside IR35, and as such you should make sure you are paying the correct amount of tax. Many of these factors will be detailed in your contract, which is why it is advisable to have an IR35 contract review and take advice from an IR35 expert before starting a new contract. Contract reviews can provide you simply with an overall opinion of your contract, or detailed comments on each clause relevant to the review. You should ensure that the review service will include a list of failing clauses and suggested amendments, a list of any insurance stipulated within the contract, and assistance with your end client/agency with getting the contract amended if necessary. You should keep in mind that as well as ensuring your contract is IR35 compliant, your working practices must also reflect what is in your contract, as HMRC will look at both should your IR35 status be investigated. A fully detailed review service should therefore also include an assessment of your working practices, in addition to the written contract. You can compare contract review services here. 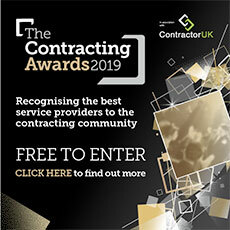 Whilst the vast majority of contractors are provided with contracts by clients or agencies, this is not always the case. There may be times when you are expected to provide the contract yourself, or you may have already received a contract and want something to compare it against. Qdos Contractor has provided these example contracts with your IR35 compliance in mind. They are for demonstrative purposes and should be amended to reflect your true circumstances where necessary. As previously mentioned your working practices must also reflect what is in your written contract. If you have secured your contract job via a recruitment agency, they will most likely give you a written contract. You should be aware that agencies will all have different terms, conditions and clauses in their contracts, some of which may have an impact on your IR35 status, so it is important to have your agency contract reviewed. Clauses to look out for include those on your right of substitution, direction, control or supervision, and mutuality of obligations. This example of a recruitment agency contract will give you a good idea of what you should expect from your agency. Contracting direct with the end client is gaining traction with many contractors who want to break free from third-party recruitment agencies or umbrella companies. This allows you to negotiate directly on matters where an agency will often avoid getting involved such as part-time, flexible or remote working arrangements, for example. Verbal contracts are valid contracts for services, however make proving your IR35 status very difficult. You will therefore need to supply your client with a written contract, if one is not provided by them, and this example of a direct contract may be useful. Please note that these example contracts should not replace professional advice. It is always advisable to speak to an IR35 expert before undertaking any contract work. You can contact Qdos Contractor here.